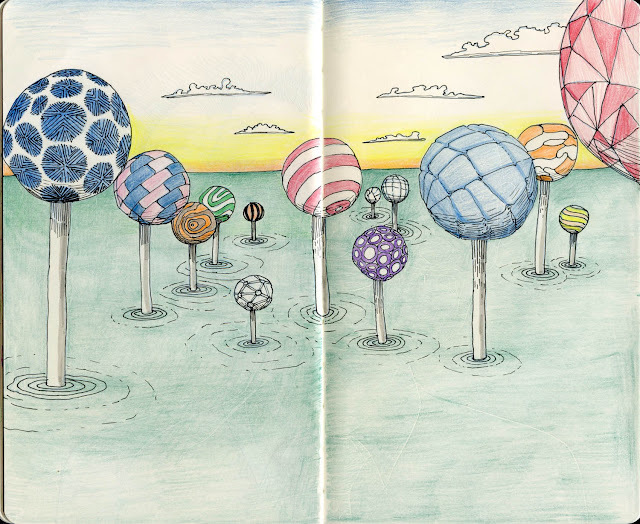 AbeDraws: Day 43: Lollypop Lake! So...it has come to this. Good night! looks like Chuhuly's work! Check out the background/display on my profile- reminds me a lot of it- love it! Oh wow, that's true! That's funny! "First, I passed through the seven levels of the Candy Cane forest, through the sea of swirly twirly gum drops, and then I walked through the Lincoln Tunnel!"